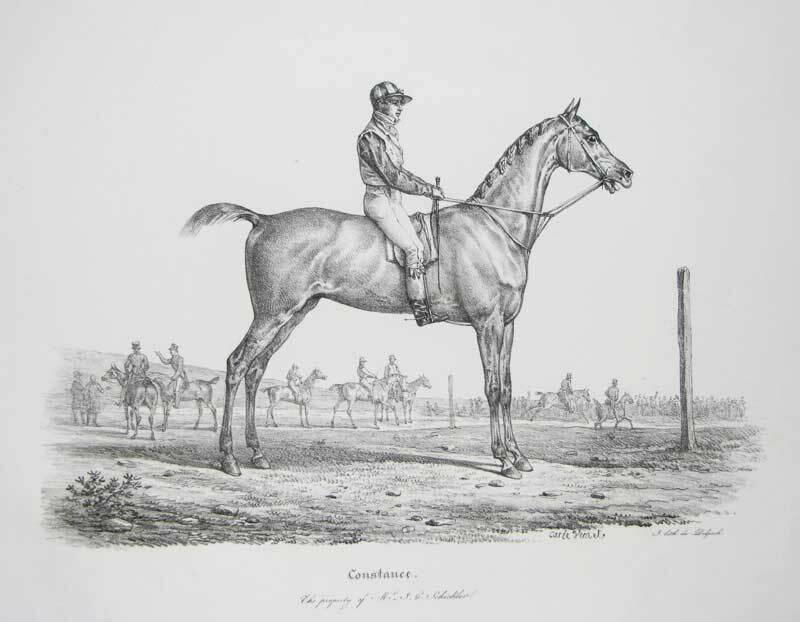 A pair of equestrian lithographs by Delpech after Carl Vernet; published in Paris circa 1880. Carl Vernet (1758-1836) was a French painter of horses and Napoleonic battle scenes. He was the son of the artist Claude Joseph Vernet and undoubtedly learnt much of his skill from his father. 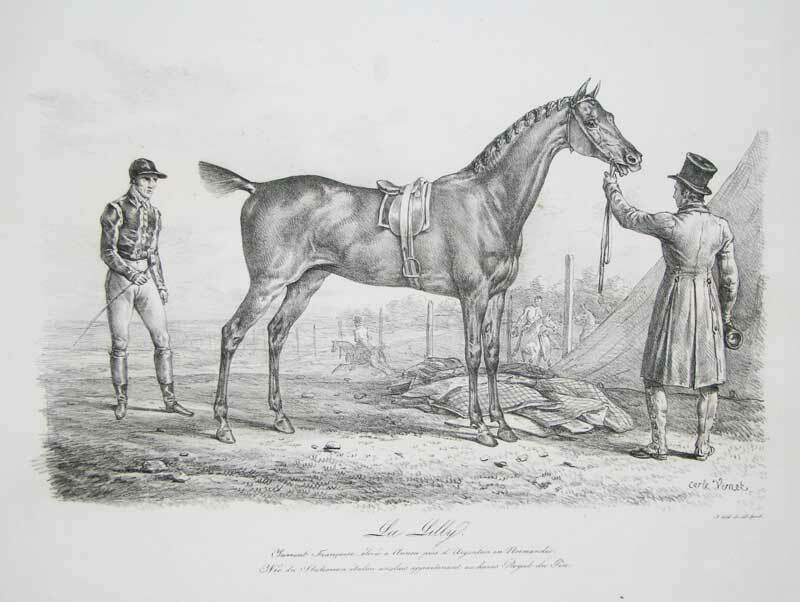 These lithographs depict two French race horses at the gallops with jockey and groom. The purity of the black and white lithography gives them a clean, almost timeless charm.